BEVERLY HILLS, Calif. (AP) — Octavia Spencer is bringing the story of black haircare mogul Madam C.J. Walker to television. Octavia Spencer received five times the amount of money she expected to for an upcoming festive role - thanks to Jessica Chastain. The 'Shape of Water' actress revealed how she opened her co-stars eyes to the inequality and challenges faced by women of colour even compared to their white female counterparts. John Hawkes plays a big time drunk in "Small Town Crime," a twisty dark comic thriller with redemption on its mind. OMAHA, Neb. (AP) — Octavia Spencer will be the keynote speaker at the Women's Fund of Omaha's luncheon next month. The award-winning star of last year's movie "Hidden Figures," about the role African-American women played in the success of NASA in the 1960s, will speak Oct. 27 at the annual Lead the Change luncheon at the CenturyLink Center in downtown Omaha. Spencer's breakout role in the 2011 film "The Help" won her a Golden Globe, SAG Award and the Academy Award. NEW YORK (AP) — Actor Nelsan Ellis, best known for his memorable portrayal of Lafayette Reynolds on HBO's "True Blood," has died at the age of 39. What’s playing in Aiken for the weekend of May 5? Filmmaker James Gunn delivers Mixtape #2 as the team explores the mystery of Peter Quill’s heritage and fights galactic baddies. With Chris Pratt, Zoe Saldana, Dave Bautista, Vin Diesel, Bradley Cooper, Michael Rooker, Sylvester Stallone, Kurt Russell. (2:16) PG-13. 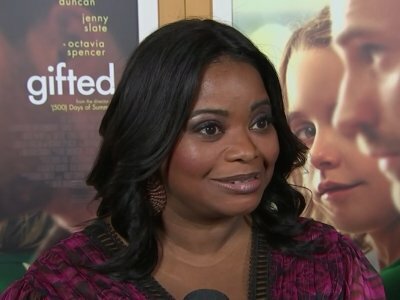 KENT, Ohio (AP) — Kent State University's first universitywide commencement will get a touch of Hollywood as Oscar-winning actress Octavia Spencer speaks to graduates of the northeastern Ohio school. Spencer recently starred as mathematician Dorothy Vaughan in the drama "Hidden Figures." The film tells the true story of several female African-American mathematicians at NASA key to the 1960's era space race between the United States and Russia. Chris Evans and a stellar cast star in a tearjerker, and one of Hollywood’s most prolific character actors checks in at Circle Cinema this week — in person. “Gifted”: Chris Evans, Lindsay Duncan and Octavia Spencer star in this drama that finds a man who is raising his super-intelligent niece embroiled in a custody battle with his mother. Octavia Spencer is back at it again with a decent cinematic formula. Much like her earlier, heralded role in “Hidden Figures,” Spencer’s latest movie appearance revolves around the world of mathematics. In “Gifted,” she plays Roberta Taylor, the landlady-turned-surrogate-mother to Mary Adler who is a math prodigy. There are several positive factors in the mixed equation that is "Gifted," starring Chris Evans and the appealing 10-year-old Mckenna Grace: A brilliant and precocious yet sweetly empathetic young girl. A devoted and decidedly hunky father figure. And then there's math itself, presented not as a refuge for social misfits, but as an exciting and elegant pursuit. BLOOMINGTON, Ind. (AP) — Academy Award-winning actress Octavia Spencer will visit Indiana University on April 9 to talk about Hollywood. The Herald-Times in Bloomington reports (http://bit.ly/2o8vEA1 ) Spencer will discuss diversity and typecasting in Hollywood in a lecture she calls "Real Honest: An Afternoon with Octavia Spencer." He co-wrote the tune with some of his “guys” in Nashville, based on the plot and story of the book that was turned into a major movie, starring Sam Worthington, Octavia Spencer, Tim McGraw and Radha Mitchell. Sam Worthington is a grieving father trying to cope with the loss of his daughter. He then receives a mysterious letter telling him to visit the shack where she was murdered. 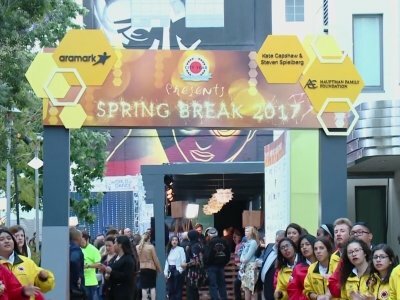 The year's first live-action superhero movie will shake up the box office, but there's also an intriguing faith-based drama and a teen melodrama that seems out of the "If I Stay" mode. In what might be the final appearance of Hugh Jackman as Wolverine, expect a very different movie with a tired Logan caring for Professor X at a hideout. That privacy can’t last in a film that follows the lead of “Deadpool” by going with an R rating. LOS ANGELES (AP) — She said only "thank you," but it was one of the more moving moments of Sunday's Oscars ceremony. In a story Feb. 23 about Octavia Spencer, The Associated Press misspelled a name. It is Vaughan not Vaughn. LOS ANGELES (AP) — The Oscar-nominated film "Hidden Figures" about the untold story of the black women mathematicians who worked at NASA during the space race will screen for free in select U.S. cities in celebration of Black History Month. "Hidden Figures" stars Taraji P. Henson, Octavia Spencer and Janelle Monae. RANCHO PALOS VERDES, Calif. (AP) — Octavia Spencer is up for her second Academy Award this year, but the star of "Hidden Figures" said Monday that she has even bigger plans. "The role I'm destined to play is to be one of the biggest producers in Hollywood," Spencer said at the 3rd annual Makers Conference, a women's empowerment event sponsored by Verizon. The cast of "Hidden Figures" has won the Screen Actors Guild Award for best film cast, beating out several other Oscar best picture contenders. CAMBRIDGE, Mass. 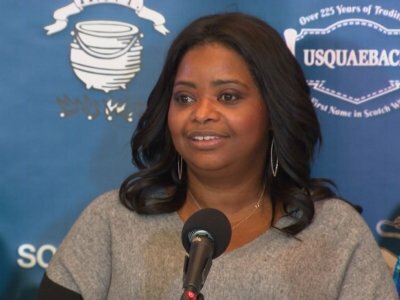 (AP) — Octavia Spencer has another honor to go along with her Best Supporting Actress Oscar: Woman of the Year by Harvard University's Hasty Pudding Theatricals. Spencer accepted the honor Thursday and used the opportunity to pay homage to Mary Tyler Moore and talk about her inspiring film roles. The Academy Award nominations are out, and the academy definitely heard and felt the #Oscarssowhite controversy of last year. Among the nominees: Denzel Washington and Viola Davis for “Fences”; Octavia Spencer for “Hidden Figures”; Mahershala Ali, Naomie Harris and writer/director Barry Jenkins for “Moonlight”; and Ruth Negga for “Loving.” “Fences,” “Moonlight” and “Hidden Figures” are all also up for Best Picture. 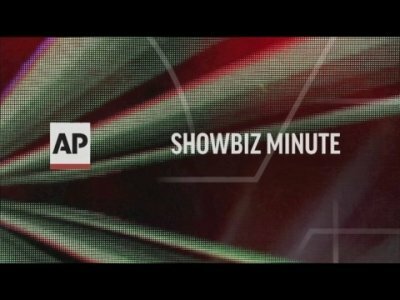 There were a few notable snubs: no directing nomination for “Fences’” Denzel Washington and no Best Actress nods for Taraji P. Henson or Janelle Monae from “Hidden Figures.” History was made with the first African-American woman nominated in the editing category, Joi McMillon, for “Moonlight.” Jimmy Kimmel will host the Oscars Feb. 26 on ABC. CAMBRIDGE, Mass. 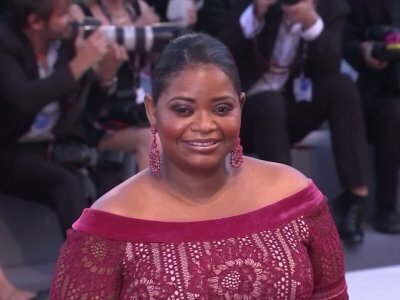 (AP) — Academy Award-winning actress Octavia Spencer paid homage to Mary Tyler Moore and talked about her inspiring film roles Thursday while picking up yet another award: Woman of the Year by Harvard University's Hasty Pudding Theatricals.